The 1968 publication of Paulo Freire’s book Pedagogìa do Oprimido served as a foundation for scholarship in the critical pedagogy genre. 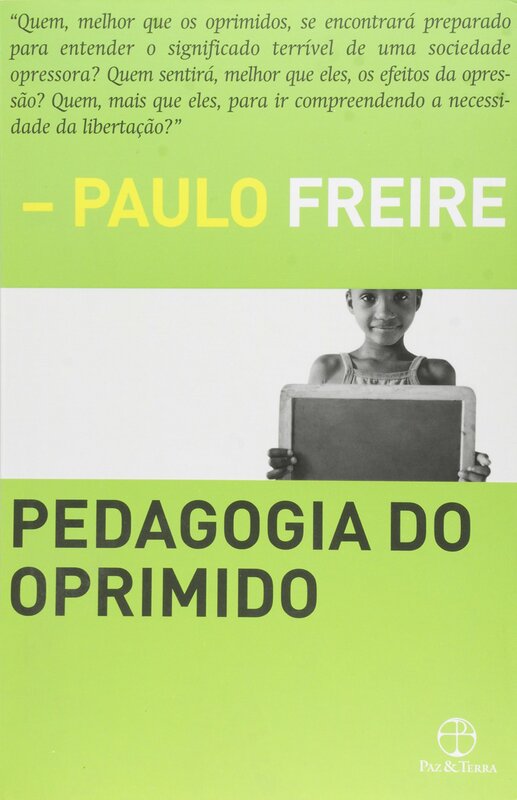 While Pedagogìa was banned for a time in his native Brazil, popular translations of Freire’s book from the original Portuguese soon appeared. The first English edition, Pedagogy of the Oppressed, was published in 1970. In the banking concept of education, knowledge is a gift bestowed by those who consider themselves knowledgeable upon those whom they consider to know nothing.... The teacher presents himself to his students as their necessary opposite; by considering their ignorance absolute, he justifies his own existence. Freire. Pedagogy of the Oppressed. (1970) pg 58. The Powell Rotunda exhibit, coordinated by members of the UCLA Library Diversity Committee, features a biographical sketch of the author, Paulo Freire, a look at other titles in the critical pedagogy genre, and highlights contemporary examples of UCLA pedagogy that feature active student engagement. Finally, there is an interactive element of the exhibit where visitors may contribute examples of how pedagogy at UCLA has transformed beyond Freire's banking model. Send your content to us with #UCLAunoppressed. Pedagogy of the Oppressed is also available as an online resource.